Written-acted and produced by Vijay Sethupathi, Orange Mittai has completed its censor formalities with a clean U certificate from the board. Acclaimed International director Biju Viswanath directed Orange Mittai featuring Aashritha opposite Vijay Sethupathi, while Aru Bala and Ramesh Thilak played key roles in the movie. Justin Prabhakaran had composed audio for Vijay Sethupathi's Orange Mittai, while the international filmmaker had also taken care of cinematography and editing for the movie. 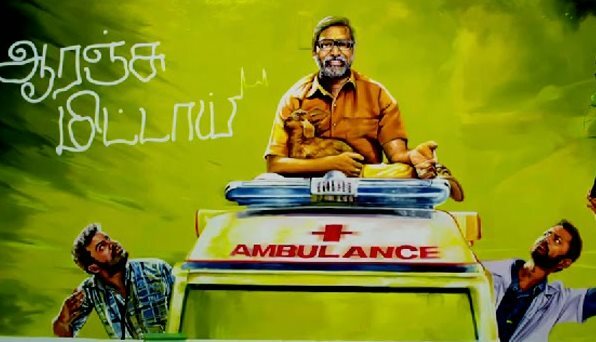 Vijay Sethupathi Productions presents Orange Mittai audio will be launched on July 1st, followed by a new trailer from July 3rd and finally, film will be released on July 31st.